Kevin's Meandering Mind | Book Review: How About Never? Is Never Good For You? Book Review: How About Never? Is Never Good For You? I suspect I am like a lot of readers of The New Yorker magazine. On the day it arrives in the mail (usually a Tuesday or Wednesday), I flip through the pages to read all of the cartoons, either chuckling and sharing with my wife, or scratching my head to figure out just what the heck the joke is. I end up at the last page, where the Caption Contest takes place (my neighbor recently won) in order to see if I could have done better (not likely). I then move on to articles and forget the cartoons. 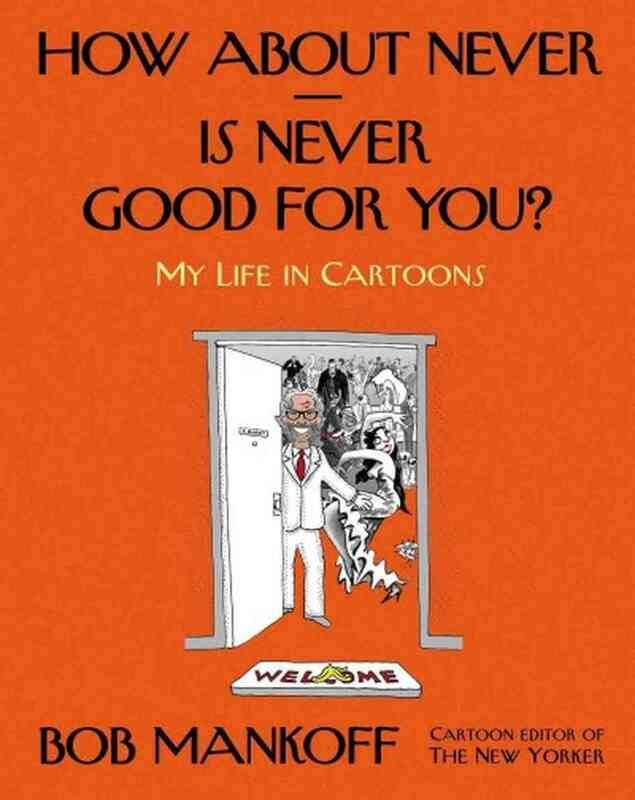 But Bob Mankoff’s whole professional life is constructed around cartoons, and the editor of cartoons at The New Yorker has a fantastic new book out that explores his life as a cartoonist and brings us into the inner workings of how cartoons get chosen by the magazine. The book — How About Never? Is Never Good For You? — is jam-packed with cartoons and comics, as Mankoff shows off his own work (which I now recognize by the dot style of drawing) and a host of other artists whose work I read every week. Mankoff even promises to show a reader how to win the Caption Contest, and then admits that that promise was a ruse to get you reading his book. His style of writing is like his style of cartooning — witty, sly and engaging, in a voice that let’s us know that while he takes his job seriously, he’s not above poking fun at anything and everything, including himself. And after all that, he does in fact give some insider views on the Caption Contest. So, there. As I was reading the book, though, it occurred to me many times just how difficult it would be to make a living making cartoons. So many get rejected. So few get published. And yet, you have to make a handful every week, knowing that you will be lucky if one gets chosen. Mankoff tries to solve some of this years ago when he co-founded the Cartoon Bank, which is now part of the New Yorker family. The Cartoon Bank is a data-base of comics that can be purchased for use, allowing some income stream for artists. Mankoff has that kind of sensibility to support artists.